The Israeli military "attacked a Syrian outpost" after mortar shells were fired from that area towards the occupied Golan Heights, the IDF said in a statement on Friday. The shells fell in the buffer zone without reaching Israeli-held territory or causing any damage, the statement said. It also noted that the shelling was apparently part of the fighting between the Syrian government forces and the militants entrenched in the area. Still, the IDF decided to retaliate. The Israeli forces are not involved in the internal conflict in Syria, the statement said, adding that Tel Aviv would still insist on "compliance with the 1974 disengagement agreement," which includes maintaining a buffer zone in the Golan Heights. Earlier, Israel ramped up its military presence in the occupied Syrian Golan Heights amid the Syrian Army's advances against militants in the south-western Deraa province. The Golan Heights has been occupied by Israel since the 1967 War, but the move was not recognized internationally. 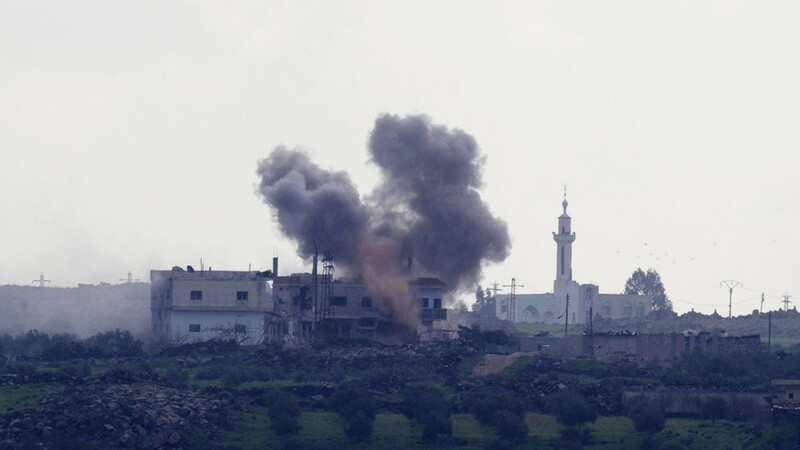 The latest Israeli attack came at a time when the Syrian government reportedly reached an agreement on a ceasefire with some militant groups in the Deraa province. The militants agreed to hand over their heavy weaponry and let the Syrian forces take control over the checkpoints at the border with Jordan, the Syrian SANA state news agency reports. The agreement also allows the insurgents to lay down their arms and apply for amnesty with the Syrian authorities. Those who would refuse to do that would be allowed to leave the government-held territories and move to the northern Idlib province, SANA reports.